A bleeding knee, running tears, a child in need… everybody at the zoo knows a child’s cries need immediate attention, just like songbirds! Thus, Zoopark Erfurt (Germany) had this great idea: customise the ugly brown or white plasters with beautiful colorful birds! 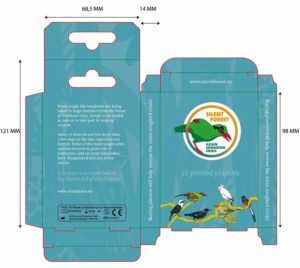 They collaborated with Liberec zoo (Czech Republic) to design a beautiful set of 10 plasters, fully registered as medical products, showing flagship species of the Silent Forest campaign. AGB Medical company offered to print the plasters and donate 30 cents per plaster sold to the campaign. joining ideas and forces to work together for wildlife! So, all of you: swap your boring band-aids and plaster the way to a great campaign! 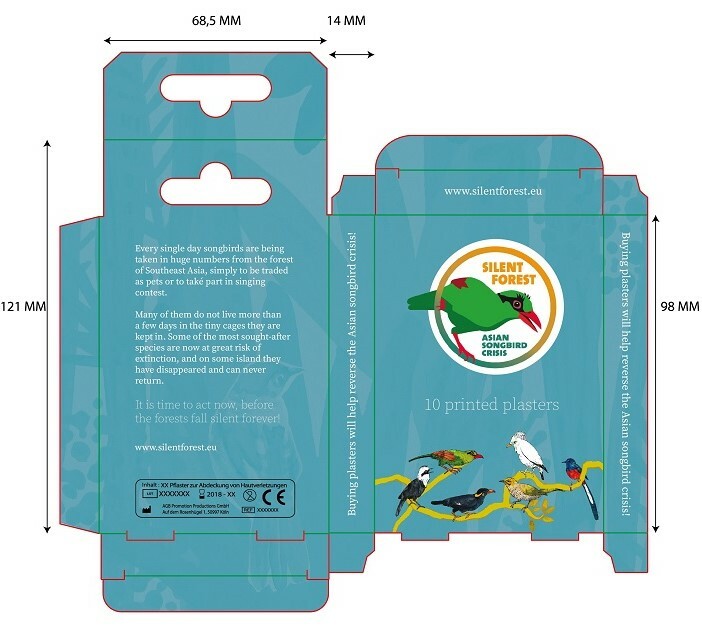 A set contains ten plasters and only costs €1.65 per set if you order 100 sets (minimum order), €1.42 per set for 500 sets or €1.12 per set for 1000 sets. You can order directly via email to Stefan Kawohl or using the Silent Forest updated merchandise catalogue. The next batch of merchandise will be sent out soon. Place your orders before the 8 February 2019 to receive your Silent Forest products at the soonest! Excessive consumption of chocolate can help save Songbirds!